Are you thinking about fostering a Boxer in need? Fostering is the most rewarding experience you can imagine. While all of our volunteers are extremely valuable members of our group, we could not rescue any Boxers without our foster families. You will see the Boxers at the lowest moments in their lives, and you will watch them as they regain their health and that Boxer spirit that we all know and love. 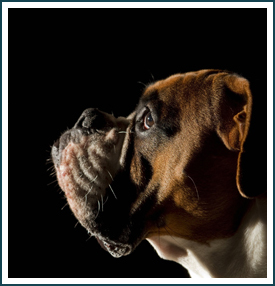 Boxers are highly resilient dogs, and will ingrain themselves as a part of your home and heart in no time. Saying goodbye is often bittersweet. On the one hand, you want your fosters to go to their forever home, but a part of you wants them to stay always. Be assured that your fosters never truly leave. They leave their pawprints on your heart forever. Florida Boxer Rescue is always in need of quality foster homes, willing to open their door and hearts to the many Boxers needing rescue in our area of Florida. Florida Boxer Rescue will pay for all veterinary care, which must be approved prior to vet visits, and provide you with monthly heartworm prevention. You will provide food, a warm bed, dog bowls, collars, leashes, toys, basic training, positive reinforcement and lots of TLC. If you do not have a crate we will make every effort to provide one for your use. One of the most important aspects of fostering is making certain your foster dog gets adopted! 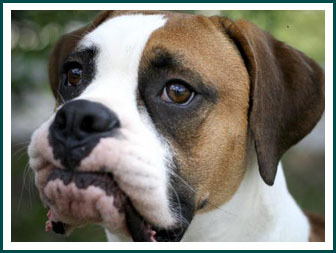 We all know that Boxers can almost adopt themselves out, but we do often help them with this task by taking pictures that will motivate a potential adopter to YOUR foster, keeping his or her website bio fresh and informational, and making certain they are available to attend all events in your area. We realize you may need help with vet visits and events, so we ask other volunteers to assist when needed. We are a team and we work as such. The number of dogs we save is limited by the number of foster homes we have – please help us to save all that we can. We would love to hear from you! Use our Application Form to apply and become a foster.